The Citizen’s Association for the Promotion of Education of Roma OTHARIN, ERGO Network member from Bosnia and Herzegovina, organized from 1-4 June 2017 a workshop dedicated to building leadership programs and initiatives in Roma communities for young Roma, with a special focus on Roma women in the framework of the “Project young Roma and Roma for the rights and inclusion“. The project is implemented and led by CARE International together with OTHARIN and other Roma NGOs from BIH and is funded by the EDHR instrument. The project aims for a better integration of Roma people in the society with a focus on the rights of Roma women and leadership skills. The outcome of the workshop is a network of young Roma and Roma women who learnt new methods on how to initiate projects and on community planning. 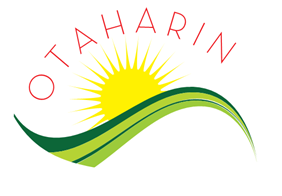 For the next 2 years of implementation OTHARIN together with its partners will help the trained young people to run several small actions in Roma communities and strengthen their leadership skills and knowledge.